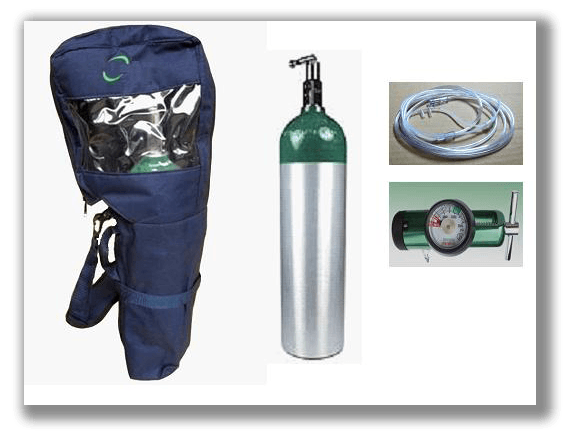 We carry emergency oxygen, a portable stretcher and medical kits on all climbs. Kilimanjaro’s altitude is a significant challenge, but the mountain isn’t high enough to require climbers to use bottled oxygen to reach its summit. The vast majority of trekkers reach the top just fine without the need of an oxygen mask or a supplemental oxygen tank. That said however, we do carry bottled oxygen with us on every trek as a precautionary measure. Should a climber find themselves suffering from severe altitude sickness, our guides will provide an oxygen mask that can alleviate the symptoms and help them to safely descend to a lower altitude. Most of the time, using an oxygen mask will help them to start to feel better much more quickly and eliminate the dangers of acute mountain sickness. We also carry a variety of other medical equipment on Mount Kilimanjaro, including an emergency stretcher. In the unlikely event that a climber can’t walk down the mountain themselves, our guides and porters will assist them by carrying them to a lower altitude. By simply dropping down a few thousand feet, most symptoms of altitude sickness will be alleviate or completely eliminated.